1. An object esteemed and venerated because of association with a saint or martyr. 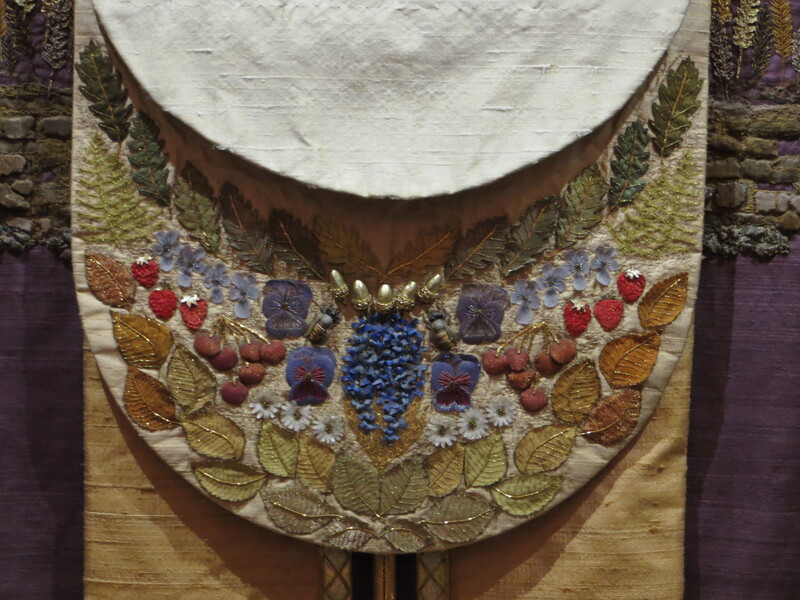 At Edinburgh Castle, in the Norman remains of Saint Margaret’s Chapel, for example, one can still see such relics as the stained-glass window dedicated to this “Pearl of Scotland,” and an altar cloth embroidered with earth and floral tones, highlighted with luminescent pearls and spun gold thread. 2. A form of some past outmoded practice, custom, or belief. An electronically outmoded practice I am determined to revive is the art of letter-writing– actually using ink and paper to convey thoughts and feelings to family and friends. When I was young I frequently corresponded with my grandmother, who lived in New York City but whom I only had a chance to see a few times a year. I saw her even less when she moved to California, but she lived to set eyes on my son Sam, her first great-grandchild, and if I see her handwriting I can see and hear her still. Thus handwritten letters’ squiggles and curves and angles capture a personality, while their content preserves a voice, and transforms those missives into a third kind of relic. . . .
My souvenirs and mementos are innumerable; Jim’s were very few. I still carry the flattened penny given to him by his friend Gerard, a memento of youthful adventures, of friendship, of the great outdoors and of the extended family’s cabin retreat in the quiet of far northern Maine. 4. A survivor or remnant left after decay, disintegration, or disappearance. There seems to be a blurry line–a rainbow’s edge–between relic and ruin. 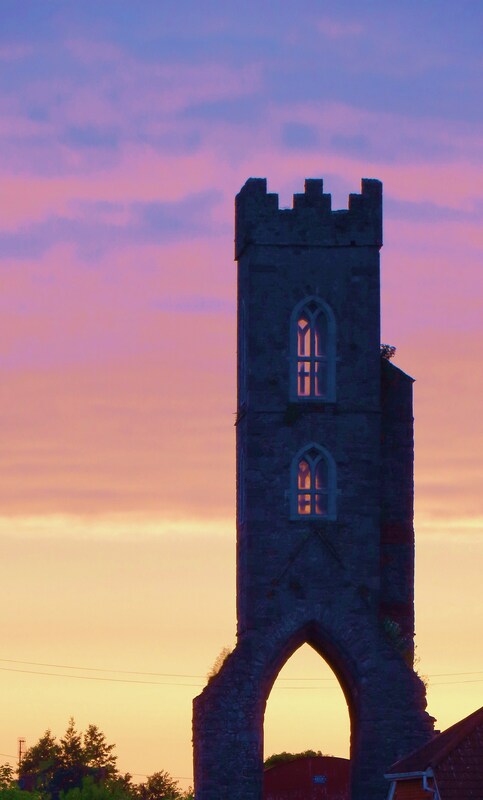 One could look at what’s still standing–the lone tower left from a stone wall that once encircled Drogheda during an ancient siege, a hilltop stone arch interrupted by a cavernous open space through which sunset calls–and call it ruins. Or one could look at the same crumbled structures as sturdy, enduring survivors of forces which ravaged what was once inextricably part of them. Oh . . . wait . That’s me, isn’t it? It’s what’s still standing, and all that remains despite everything the magnitude of what has gone, gone away. 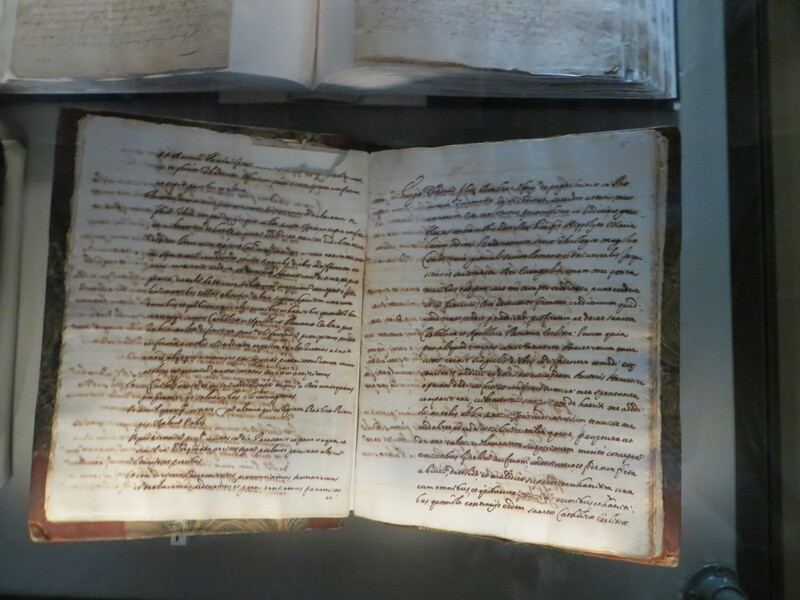 This entry was posted in Love and Loss and tagged Drogheda, Dublin, Edinburgh Castle, Gone Away", handwriting, Honore de Balzac's Pere Goriot, Ireland, John Hiatt's "Gone, letters, postaday, ruins, Saint Margaret of Scotland, Trinity College Library, Weekly Photo Challenge: Relic. Bookmark the permalink. And your post, and mention of Pere Goriot, especially, brought me sharply back to French literature class in high school. I knew right where you were going with this and so loved it.. I know how that penny got flat. 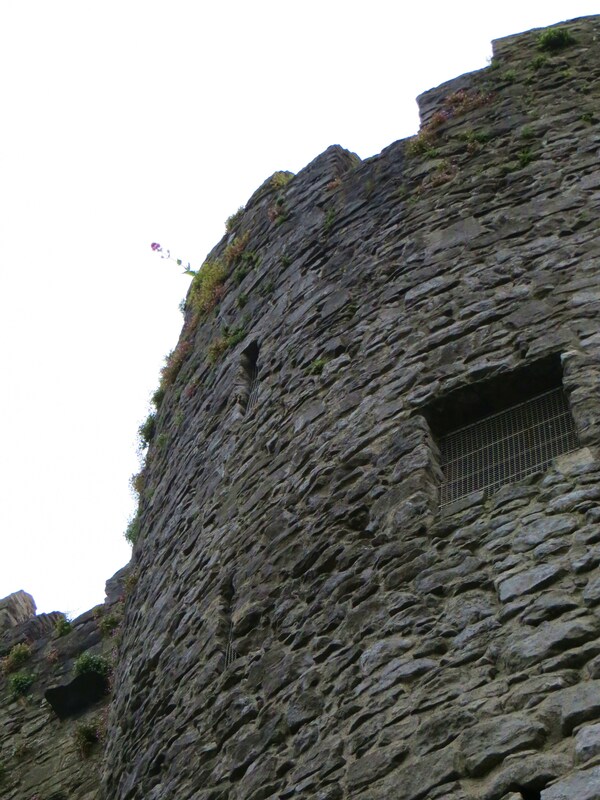 You are very strong, and I see you as the latter – the castle withstanding enormous poundings – however, you don’t look like an ancient ruin at all. You actually look pretty good. Really good!! Very interesting post, thanks for sharing ❤ I totally fall in love with the "Pearl of Scotland". This one is really a masterpiece of art :)!